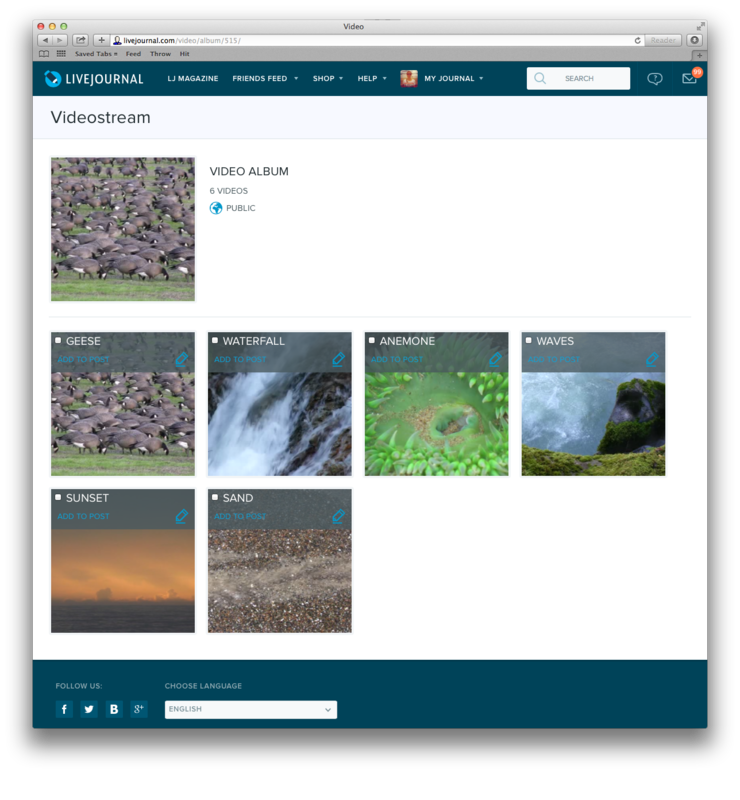 You can view your video albums by going to [yourusername].livejournal.com/video. 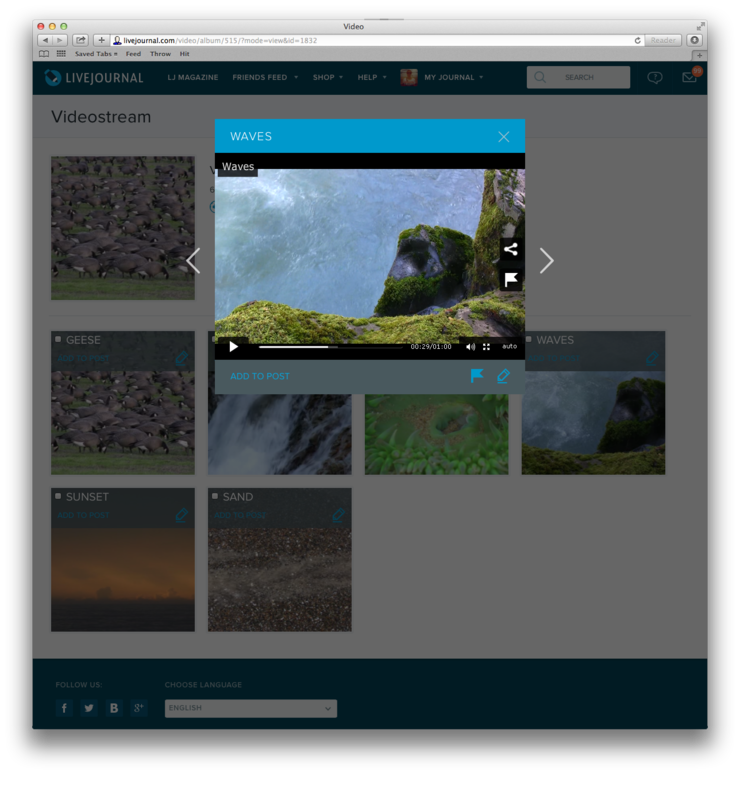 When you first get there, you'll see options to both upload a video and to create video albums. Once you've had a chance to add some videos to an album, it will look a bit more like the images under the cut. Your video albums also have our standard set of privacy options (Public, Friends Only, Private, and Custom), and these privacy options extend to all videos in each album. If a video has a higher privacy level than an entry where it is posted, a placeholder message will be shown instead. The placeholder text will inform the viewer they don't have the necessary access to view the video. There are currently no limits to the size of videos that can be uploaded other than your account's total storage limit which you can review on the Settings page. We hope you enjoy the new feature, and please let us know if you have any problems or feedback about the new video hosting!